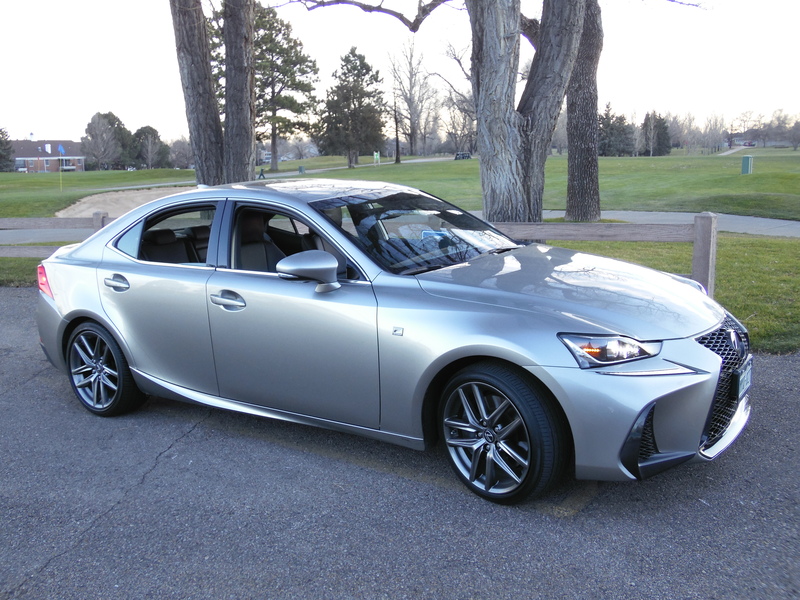 Recently I drove over to Pirate Radio with my latest test car, the 2017 Lexus RC-350 F Sport, which was painted Caviar (black) and featured a black leather interior. Pirate Radio is FM 104.7 in Greeley, and the car was there to be analyzed by the DJ’s, George Gray and Matt Arguello. 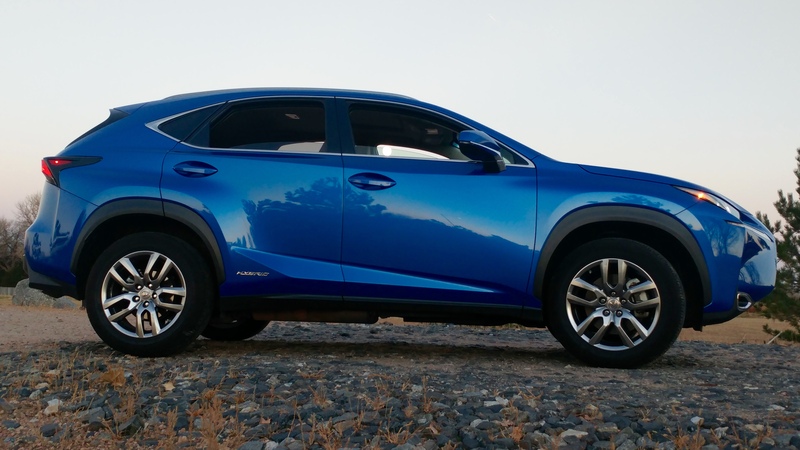 Their impression of the Lexus was positive, and if they had driven it they would have really gotten excited. 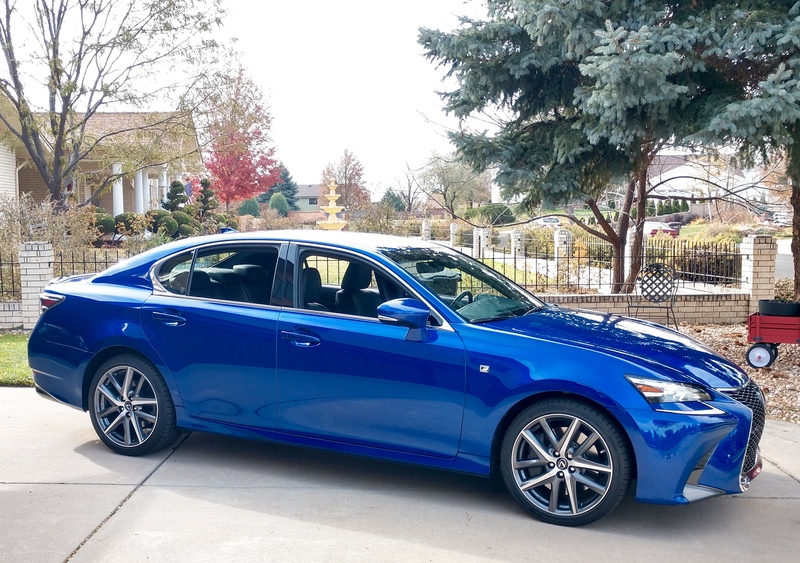 I took care of the driving of the RC-350 for a week and can report that the Lexus is a solid, smooth performer with enough horsepower to accelerate to 60 mph in under 6 seconds. A couple of years ago I drove the Lexus RC-F, which is identical except for the engine, and of course it was excellent, as well. 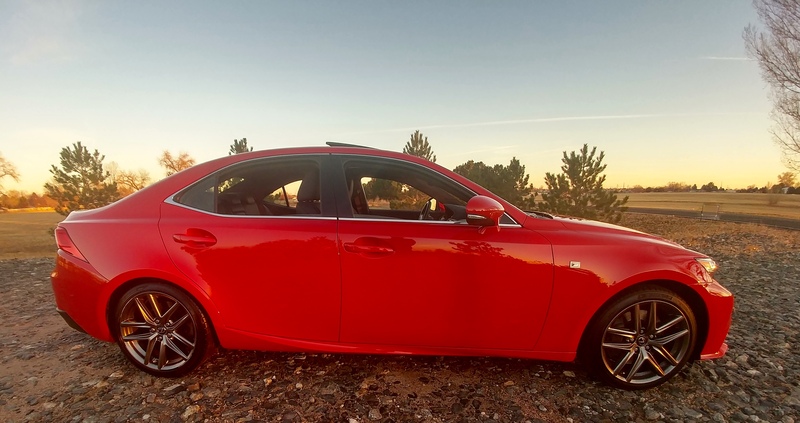 The power in the RC-F was a V-8, so performance was more exhilarating. What I will say about the RC-350, the subject of this evaluation, is that with the V-6 in it the performance was very satisfying, in somewhat of a surprise. I expected it to pale in comparison (to the V-8), and that was not the case. In it (the RC-350) is a 3.5 liter, 306 horsepower unit with 277 lb. ft. of torque. The ultra-smooth power plant features 24 valves, dual overhead cams, direct/port injection, and variable valve timing. The transmission is an six-speed automatic with floor shift and paddles on the steering column. Top speed of this rear-wheel drive car is reportedly 155 mph. As for fuel economy, the automobile rates 26 mpg highway, 19 mpg city, and a combined figure of 21 mpg. The tank holds 17.4 gallons. 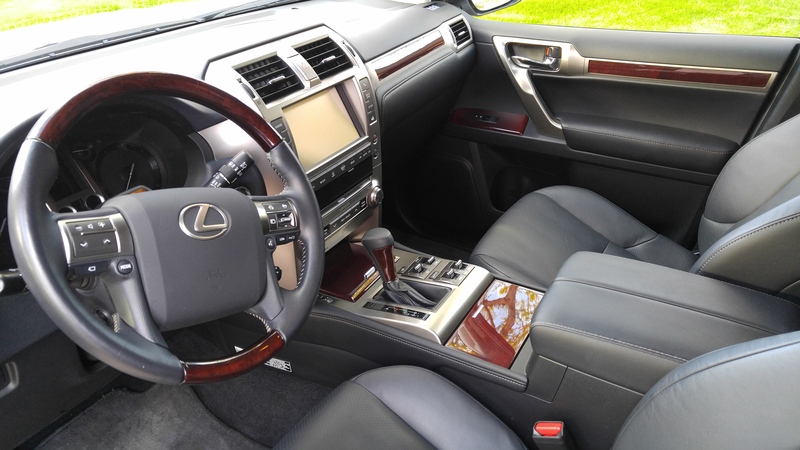 Inside the four-passenger coupe is leather seating for four adults. It was upholstered in an understated black material with intricate stitching, and black accents were employed successfully throughout the cabin. The F Sport has badging on the steering wheel (on fenders, as well) and alloy foot pedals are on hand. Four driving modes are accessible when operating the RC, and they are normal, eco, sport, and sport+. When in sport+, the dash output changes to red accents and a large tachometer/digital speedometer. The ride is great and visibility is about as good as can be expected considering the sporty performance and design. 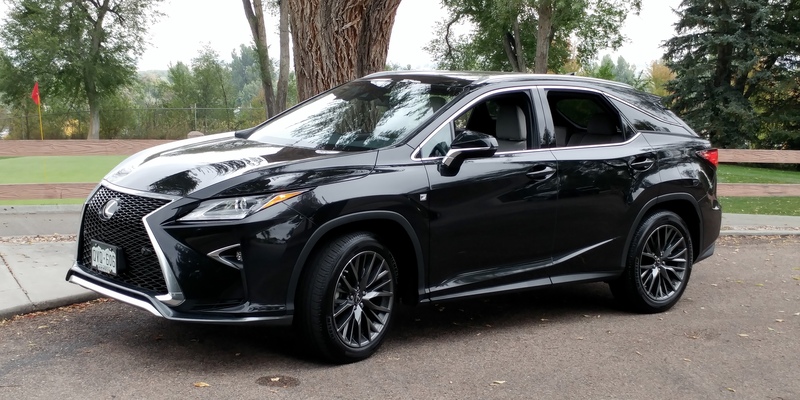 Lexus has knocked it out of the park with regards to styling of the RC-350, which in the case of my test car featured an Caviar black metallic paint job. Fifteen-spoke two-toned 19″ alloy wheels were fitted with 235/40R19 (265/35R19 on the rear axle) radials. When I’m testing a vehicle with different size tires on the front and the rear, I know I have my hands on a hot rod. The large black “spindle” grill is out front, a spoiler is integrated into the trunk (10.4 cubic ft.), and stainless exhaust finishers are under the rear fascia. M.S.R.P. 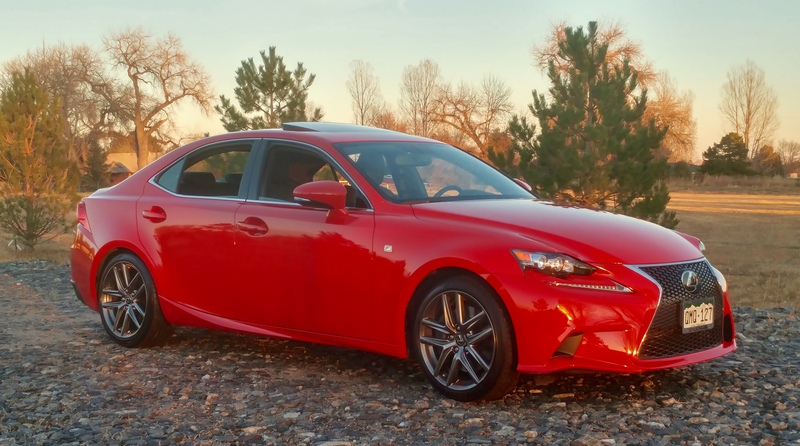 of the Lexus RC-350 F Sport is $57,198.00, including a base price of $45,175.00, fog lights ($410.00), F Sport package ($3,700.00), navigation/audio ($2,550.00), intuitive park assist (500.00), moonroof ($1,100.00), rear spoiler ($399.00), protective mats ($280.00), radar cruise control ($500.00), and triple beam LED headlamps ($1,160.00). Freight was $975.00. 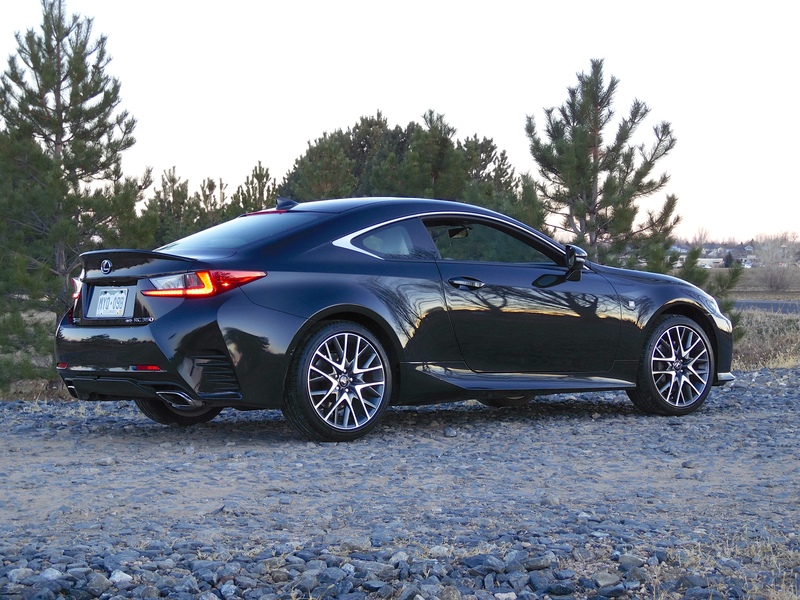 The RC-350 is a surprising value, as performance coupes go, and with its stellar styling and interior appointments, I would recommend it to a prospect in the sector. 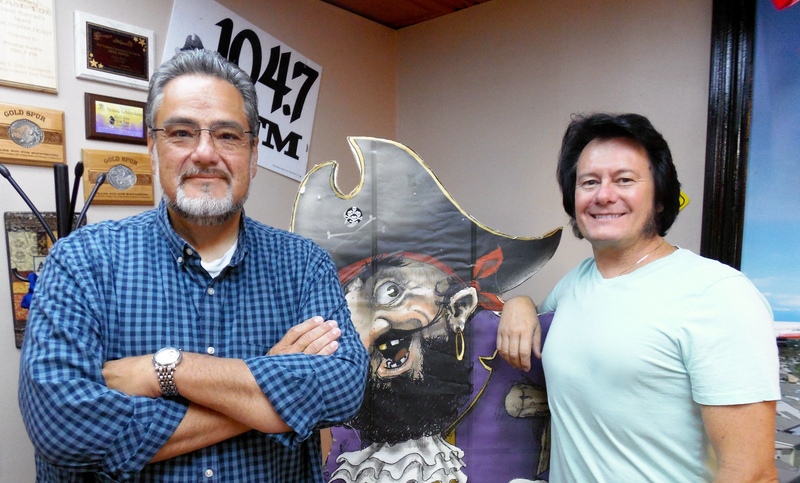 Recently the Lexus hybrid was taken over to Pirate Radio (104.7 FM) for a look-see by the “Morning Show” DJ’s – George Gray and Matt Arguello. Styling of the RX has always been a hallmark and this 2016 had a revised (substantially) look that was an eye-catcher . Chrome tailpipes were present at the rear, and a nice black cladding strip adorns the lower body panels. Up front the car features Lexus’ new “spindle”, pinched-in, somewhat massive, grill design. Power for this car is provided by a 3.5 liter, 295 horsepower V-6 with an EPA rating of 19-city and 26-highway miles per gallon. I observed 25.1 mpg during my week driving around in the RX, predominately on the highway. Zero to 60 acceleration is reportedly 7.8 seconds. Behind the power plant is a eight speed automatic with manual shifting and snow mode. It, of course, is an all-wheel drive configuration, and the wheels are twenty-spoke black alloys fitted with P235/55R20 Michelin Premier LTX all-season radials. 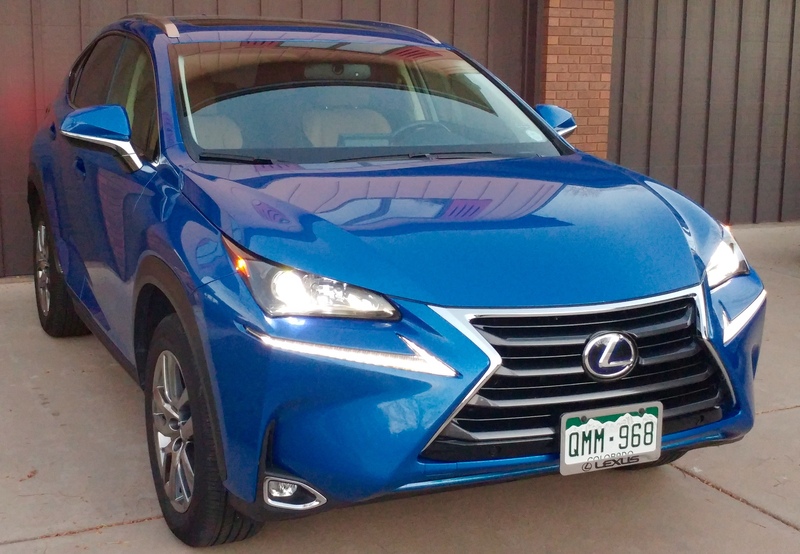 It’s not a surprise that the Lexus RX is the top-selling luxury SUV; I can recommend the RX, as it was an enjoyable week with it in my possession. 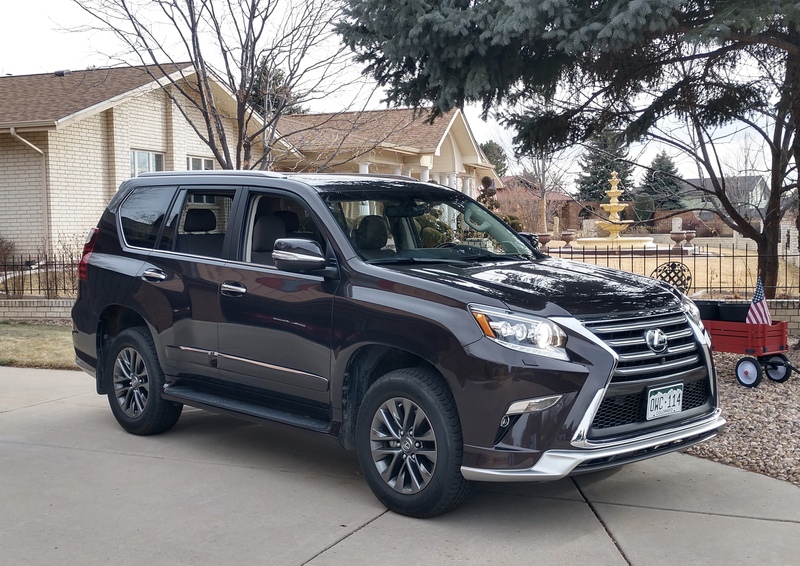 An elegant 2016 Lexus GX-460 Luxury edition was dropped off at my house last week, and I quickly jumped in to take it to the airport to pick up my family. Lexus is the luxury division of Toyota, and has been producing the GX series of SUV’s since 2002. This one was painted Silver Lining metallic, a gorgeous finish. 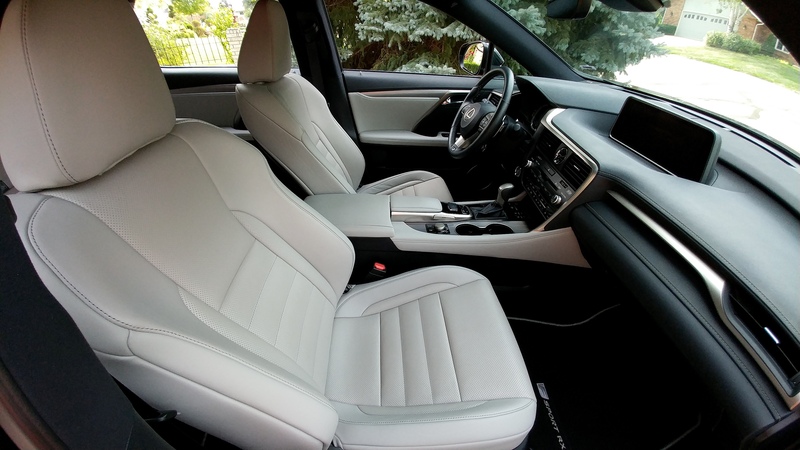 Inside, it featured gray leather deluxe upholstery with comfortable buckets and seating for seven. The family, consisting of the three girls just back from Disney World, oohed and ahhhd at the Lexus interior. This GX is a big SUV, weighing 5,179 lbs. and extending out to 189.2 inches in overall length. It’s 73.8” tall and 74.2” in width. I mentioned the seven passenger capability, which requires a small double leather seat that folds down into the floor in the far back. When these seats are up, there is a modest amount of luggage space, but when collapsed along with the middle row of seating, you can obtain 64.7 cubic feet of cargo space. The back door swings out towards the curb and a hinged rear glass is incorporated into it. 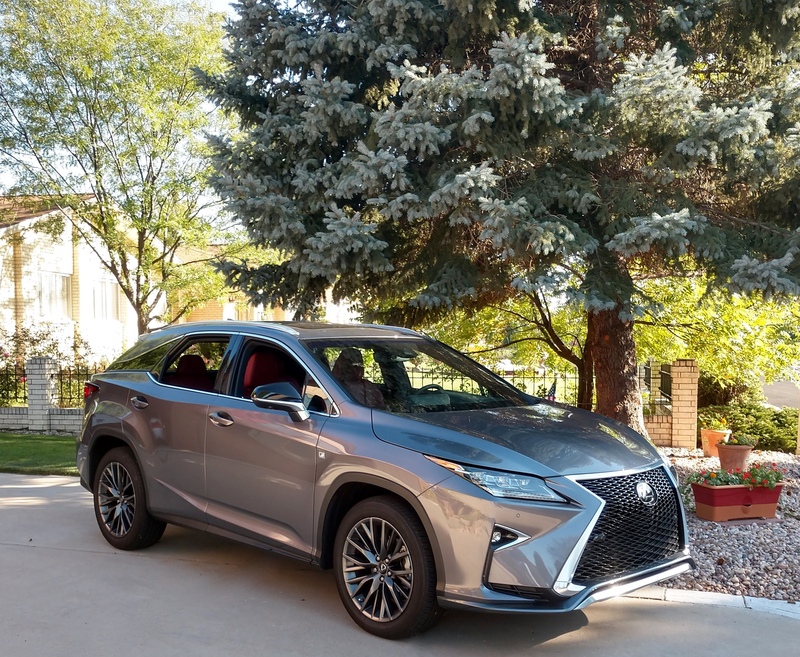 All packaged up and out on the road, this vehicle rides great, and wind noise, guidance, and handling are all commensurate with a Lexus of this caliber. My GX test car had a base M.S.R.P. of $61,515.00. The entertainment system added $1,970.00, driver support package added $4,340.00, and the freight added $940.00, bringing total list price to $68,765.00. Stereo equipment was Mark Levinson (including navigation system) with 7.1 Dolby surround sound and 17 speakers. The GX had the blind spot monitor that I’ve grown so fond of, allowing Ruth and I to get on Highway 85 at Brighton and sale into Greeley from the south. The 4.6 liter V-8 provided 301 horsepower (329 lb. ft. of torque) and was mated to a six speed automatic transmission with sport shift mode. Acceleration is on target, with a zero to sixty timing that is reportedly a respectable 7.8 seconds. Fuel economy ratings are 15/20 city-highway (17 combined), and I observed a little over 18 for the week spent with the GX. It has full-time four-wheel drive with crawl control for four wheeling. 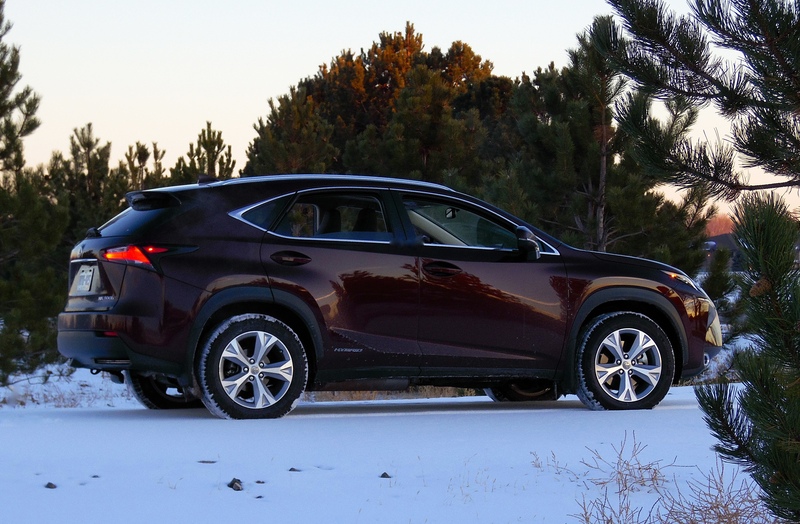 This car is a body-on-frame SUV with 8.1” of ground clearance, so can do more than just drive through snow. Styling of the GX-460 has been changed since the second generation model was introduced in 2009, and personally I think they kept the styling pretty much in line with the prior series, with perhaps a little more aggressive attitude. My GX had the roof rails, nice lighted steps on the side, ample chrome, and 18”, six-spoke Liquid Graphite alloy wheels. The tires were Bridgestone Dueler H/T 840’s, P265/60R18 in size, with mud and snow capabilities. Sleek, unibody “crossover” SUVs are currently the rage, and the GX460 is somewhat of a throwback. 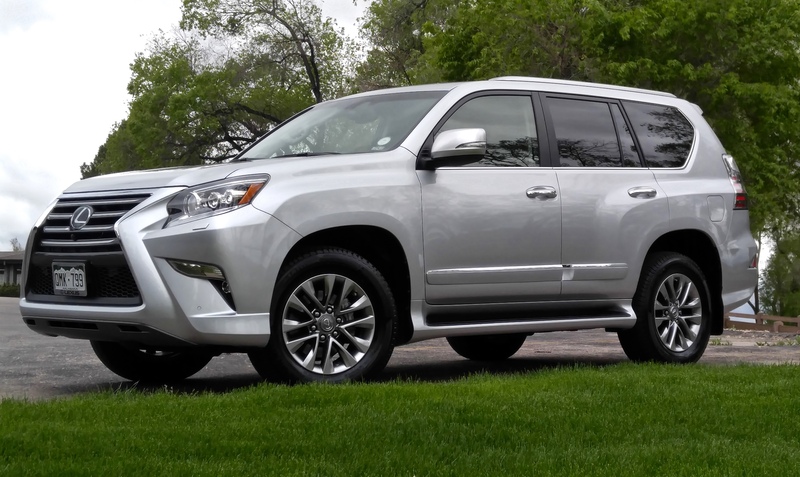 But if the shopper wants to luxuriate with off-road and towing capabilities, the GX-460 Lexus provides an excellent option to consider.